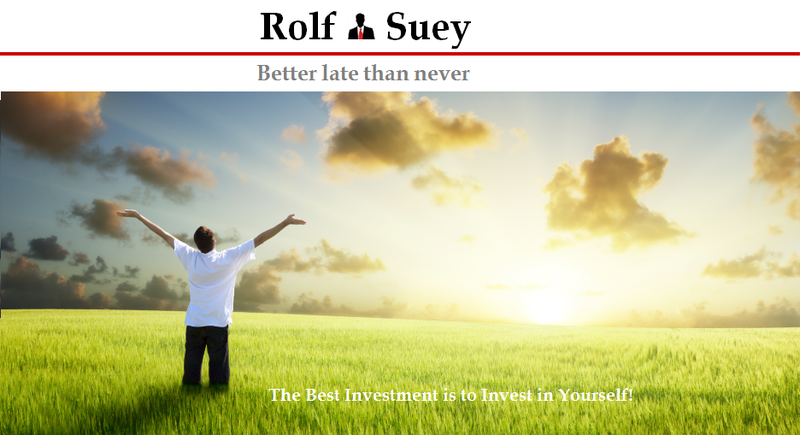 Rolf Suey - Better Late Than Never: Swiber winds up and in liquidation - Who's next? Big news in the Oil and Gas scene today. Once, the darling stock of Singapore Oil and Gas - Swiber Holdings Limited wind up and ended in provisional liquidation. It is definitely unfortunate but not unexpected news judging from the debt, the company gets herself into. I still remember before it was listed in 2006 when I visited them, they were relatively unknown and a small outfit based in a small office in Chinatown area. The next moment it became public and stock price grew vertically. Throughout the last ten years, the company grew so fast. From few vessels to more than 50 years and not forgetting the separate listed entities they used to own – Kruez Subsea which was sold to a Venture Capitalist and Vallianz Holdings which they still own a major stake in today. Staff strength climbed remarkably from tens or low hundred to thousands worldwide within ten years. Why is all these possible? Over-leverage is a double edged sword. Good times, you thrive. Bad times, you dive! By the way, those who have been following my blog will know that I am very bearish ever since a year ago when things are still not yet as bad and when everyone was still turning the music partying. Apparently, I was even more bearish lately with all the "onion peeling" posts on the market lately too with my "Gold and Silver" series and the "Fallacy of How to be Rich..." series. Since January this year, I also warned that it is perhaps not the right time to buy into O&G and Bank stocks now unless you wanted to treat it for trading purposes! Read: Is this a right time to buy: DBS, OCBC, UOB or Keppel and Sembcorp? Did I get burn myself with Oil and Gas stocks? Of course I did, otherwise how will I learn so fast now. SINGAPORE - Singapore oil field services firm Swiber Holdings Ltd filed an application to wind up the company and said a Singapore court had appointed provisional liquidators, making it the biggest local name to fall victim to the slump in oil prices. In a statement to the Singapore Exchange, Swiber said the hearing to wind-up the company has been set for August 19. Swiber, which operates a fleet of 51 vessels, did give any specific reason for the move but said it was facing letters of demand for US$25.9 million (S$34.9 million) and had warned earlier this month of delays in raising US$200 million in preference shares. Local oilfield services companies have been burdened by weak oil prices, which have strained their liquidity, with charter rates tumbling and clients either delaying or cancelling projects. "If highly leveraged offshore and marine companies are unable to raise capital from equity markets, then they will be left with very little other options other than to file for liquidation or for judicial management," said Joel Ng, an analyst at KGI Fraser Securities. Over the next year-and-a-half, bonds totalling nearly S$1.2 billion from energy and offshore marine issuers in Singapore will mature, with S$615 million due over the next five months, according to IFR, a Thomson Reuters publication. Another firm, Technics Oil & Gas Ltd, and its unit were placed under judicial management this month. Investors had turned more positive on Swiber after it redeemed two bonds in June and July totalling S$205 million. Swiber said this month a preference share sale agreement for US$200 million had been delayed and that it was seeking legal advice. But a flood of letters of demand, including statutory demands, had flowed in since Monday, claiming a total US$25.9 million, as of July 26, adding more pressure on the company. Swiber said some of its executive directors, including its chief financial officer, had resigned. From just 10 vessels in 2006, Swiber has expanded to own and operate a fleet comprising 38 offshore vessels and 13 construction vessels. It has more than 2,700 employees across Southeast Asia and other countries, according to its website. Swiber's longest dated bond due 2018 started falling sharply in mid-March. The provisional liquidators of the company, which has a market value of S$50 million, have asked for trading in Swiber's shares to be suspended. The High Court of Singapore appointed KordaMentha Pte Ltd's Cameron Lindsay Duncan and Muk Siew Peng as the joint and several provisional liquidators of the company. knew you were going to write about this. anw, read somewhere the exposure DBS has to swiber is 700mil. and thats just one coy. this will create a domino effect. and their top management just bailed too. lets see what today will unravel. Actually Swiber just redeemed their bonds and have several real orders lately. Frankly, in this situation, they normally SHOULD NOT be the first to fall. Well, but when you are meddling with the bankers, they decide your fate anytime! Yes DBS has s$700 mil exposure as written in the papers. In Pacific Richfield (not listed) which just bankrupted recently, DBS also have lots of exposure! Ezra too. I believe DBS pull out the plug! Blackout!!! Hi EH, yes! All O&G in tremors! Swiber has indeed been brought down by their debt repayment. Ezra has a few coming due shortly too so we'll see if that will be the next one. Swissco has until 2018 before the next repayment is due, while there are others with a stronger net gearing. As I mentioned earlier, it's about whether the banks wanted to support. In GFC, the debts of many O&M companies esp Ezra was high also. However the bankers supported and keep them afloat! It's all also about who is the backer. Ezra and EMAS is same same but different. Ezra is in Offshore support while EMAS in offshore construction, production etc. I reckon EMAS will be safer due to Japanese Giants Chiyoda and NYK to the rescue. Also EMAS do have some good offshore construction vessels and operation crews in Norway n worldwide due to their acquisition of AMC some years back. For Ezra, it is connected to EMAS. Her survivor really depends on how the Japanese and bankers think of her future outlook. Swissco - 2018 still some time! But their only problem are the rigs JV with Ezion! They OSV segment is small cheap tugs which pose smaller problem. So if no takers, they got to scrap the rigs and retrieve some money. Worst case. It then depends on how the Tan Family can use their influence and finance to save the company. Chances of failure is very low. 2018 still have some time to pray! Dark clouds ahead. Liquidity freeze is the risk when banks stop lending to O&G. And when private banks margin call their customers who leverage O&G bonds. Yes agree with you that it's the bank. Bankers can let you becomes rich fast, they can cause ur downfall fast also. To me, the banking industry is really full of distractions of easy money earn, that is probably the most down to earth industry to be with. I just remembered your story about colleagues buying new cars or upgrading their properties last year. If insiders can be "clueless"; what more for outsiders? Absolutely. Awareness or I will like to say it as "Wisdom" is really not something you can just read it and get it! Expend too fast then high risk to collapse! Yes, not so good to expand so fast. But I know the reason why Swiber wanted to expand fast as I personally know people all the way to the top and was told the stories before. It was all good ambition and mission and they are a company with compassion and heart. If you look at this world from ancient times, we have most of the things on earth for us to survive and lead a peaceful, meaningful life with our love ones. So why people want to expand so fast? The only reason I can think of why humans, companies or even countries wanted to grow so fast is nothing but "wealth, fame, prestige etc!" It's all about to glorify ourselves! Sometimes if we think in simple terms, life is so simple. We humans are complicating it with money as the root of all evil. Swiber isn't growing all for the money but for a good cause as I hear from the horse mouth. But they still go down! Their process is wrong bcos they were distracted by banks who teach them all the different ways to borrow from day one! So sometimes even if ur main mission is not money, but in the process u r still putting all ur process to chase for wealth related things, downfall will befall on u! This includes our mesmerization to grow our portfolio and gets financial freedom, even if the eventual aim is not for money, but all ur life u have been focusing on money! It's no different from what Swiber did. Even u get ur money or FF, it's not going to be sustainable or u will not be happy! Our attention should be focus on more meaningful things in life NOW! Sorry for being over passionate again! hehe! as for us, never borrow/loan money to invest. also dont loan/borrow money for enjoyment. although i am unlikely to get retrenched, but i still make sure i do not over leveraged. Sometimes not about borrow money or not. My only concern is human's fixation in $ $ $! We see that life is so much about money. Even if we try not to think, our brain still think about our money and stock market. Even being overly-frugal means that you are fixated to money, which is not that good also. So it is the need to find something more meaningful in life to do so that our mind is not whole day and night glued to money. And yes, in my fallacy series of being rich final part one day, I will write about the truth of being wealthy! rolf who is next？ possible semb marine? Dun think so lar.... Temasek owned! next time got kang tao, please gai siao hor.